When you talk Android Wear, there is still only one device that the majority of tech enthusiasts are excited about – the Moto 360. Why? Well, because it looks like a traditional watch, thanks in part to the materials used, but mostly because the device is round. It doesn’t have the square or rectangular face that the first wave of smartwatches carried. It doesn’t look like a futuristic, “There is a calculator on my wrist!” type of watch. It looks like a watch, a watch that does all sorts of cool things thanks to Google’s new wearables platform. Round is king. While Motorola will more than likely be the first to get a fully-featured round smartwatch out the masses (assuming they ever release this thing), Samsung might not be far behind. 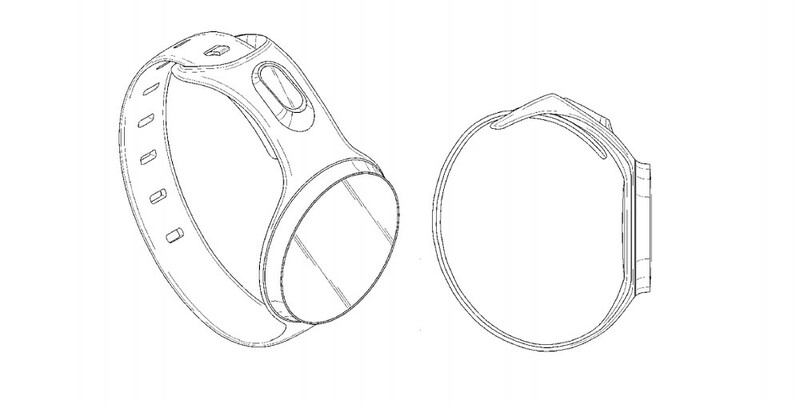 The company applied for (3) patents back in March of 2013 for smartwatches that feature a similar round design. They were granted those patents yesterday. In the filing, there isn’t much going on outside of the round designs. The devices actually look a lot like the current line of Gear watches, only with a round face instead of a square one. We are seeing cameras built in to the watch band, along with charging pins embedded in the clasp. If Samsung were to build a round smartwatch, would you be more willing to give it a shot? Is round actually king?